Most people don’t spend a lot of time lamenting the passing of winter in Steamboat. That’s not to say it isn’t adored - it is, of course, one of the top ski and snowboarding destinations in the country. But locals realize that spring may (secretly) be Steamboat’s most beautiful time of year. The Flat Tops, still capped in white, are sporting several hues of green and signs of wildflowers begin to sprout up. The Yampa River is raging in all of its glory, and Emerald Mountain lives up to its name in most vibrant fashion. Spring is also when Steamboat is at its most relaxed. The wave of ski fanaticism has settled, the town isn’t so crowded, and everyone you meet is abuzz with the rush that comes with warm weather. They can’t wait to get outside and enjoy the sunshine via two wheels, hiking boots, or a kayak. Spring also offers a number of outdoor adventures that don’t get any better than during this window of bloom - the magical few months between the high winter and summer seasons, April through June. Here’s how to make the most of springtime in Steamboat. It might look like all that snow has disappeared off of the mountains, but really it has just changed to liquid form, and it is now found in the surging waves and rapids of the Yampa River. While such fast-moving tumbles make for a wild ride, tubing season doesn’t begin until June. However, rafting is one of the most exciting and safest ways to experience the Yampa in spring. Beginning in May, Bucking Rainbow Outfitters launches trips from the river near the base of Steamboat Resort that then paddle through town. Located right on the banks of the Yampa, Backdoor Sports rents kayaks, rafts, paddleboards, and tubes and always offers helpful intel on where and how to best enjoy the river, depending on water levels. If you happen to be in town the weekend after Memorial Day, the annual Yampa River Festival is the party of the season. Get ready to witness the spectacle of raft and tube rodeos, racing, dog contests, and artwork, plus kick back with live music, snacks, beer, and a general, unspoken consensus that life is great. 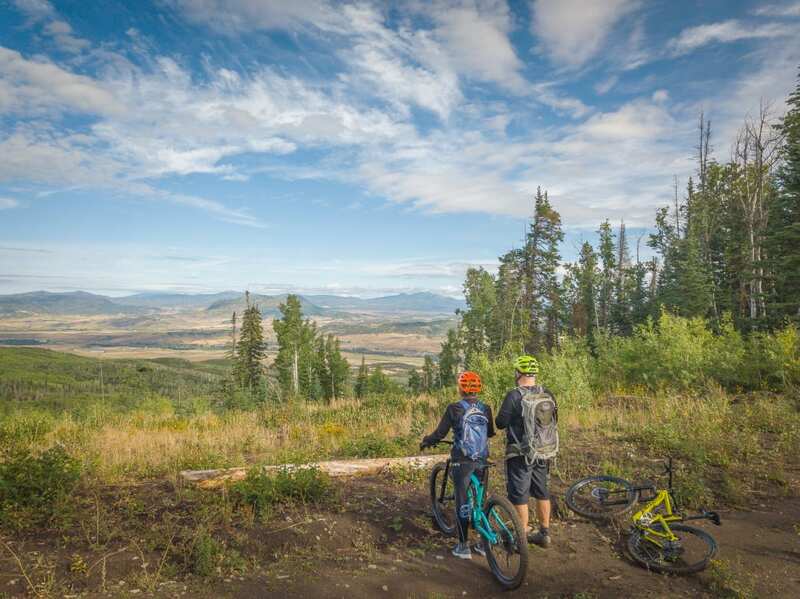 Even though the high peaks are still filled with snow, Steamboat is situated at a lower elevation than most Colorado resort towns - it sits at 6,732 feet as opposed to 8,000-plus - which means trails dry and wildflowers bloom earlier than in the higher Rockies. 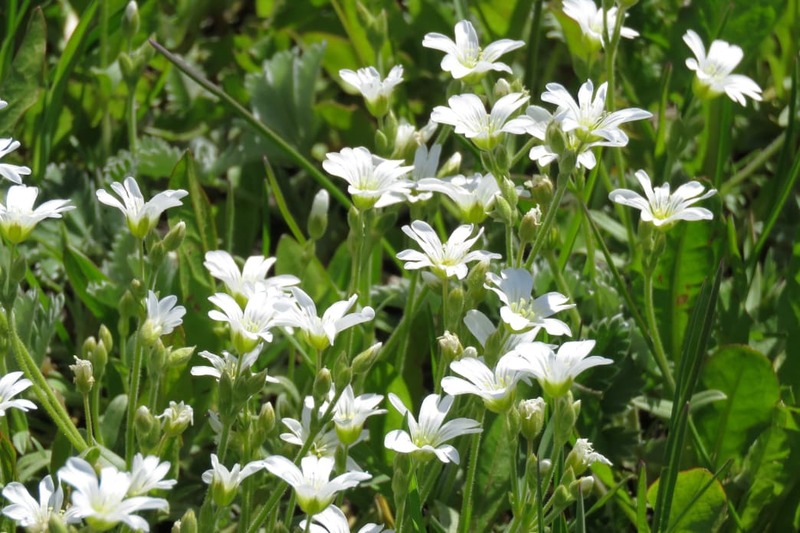 Hiking in the spring is an all-sensory experience around here: the clear blue sky frames snow-capped peaks that are covered with a rainbow array of trees and wildflowers, and the smells will make you swoon. You’ll catch whiffs of the fresh spruce, blooming aspens, and maybe even wild marigolds. Because there are not nearly as many people on the trails this time of year, the overwhelming sensation is one of Zen. The off-season is unquestionably the best time to visit Fish Creek Falls. Not only are the trail and parking lots delightfully uncrowded, but the falls themselves are at their most impressive, spilling tumultuously down the canyon walls. Another option, particularly early in the season, is the Emerald Mountain Trail Network. It’s one of the first trails in the region to “dry out” and become accessible to hikers. Start at the Blackmere Trailhead just west of Howelsen Hill as a good starting point. The convenient hike starts within city limits and offers some fantastic views of the region. As with hiking, Emerald Mountain will summon you like a beacon, and while there is some transition time between its transformation from ski jumping/Nordic mecca into singletrack paradise, lower trails like Molly’s, MGM and Rotary are often hot spots on the early season hit list. If the trails aren’t quite ready for riding yet, there’s always the paved Yampa River Core Trail, a 7.5-mile route that runs through town along the Yampa River. Along the way, stop at the Yampa River Botanic Park, which features 40 different gardens in addition to sculptures and other artwork. Let’s not forget that this is a town of hot springs. While the days may be getting warmer, the air cools off quickly in the evenings, and a warm soak is the perfect wrap-up to a day of adventure. Families flock to Strawberry Park Hot Springs in droves on high season weekends, but in April and May, you can occupy your own soothing corner. Also, because the water slides of Old Town Hot Springs are closed this time of year, a peace permeates these pools, too. It’s more of an adults scene this time of year and thus, the perfect recipe for true rejuvenation. Of course, sometimes the weather just doesn’t cooperate, and it isn’t possible to make the outdoors the centerpiece of your trip. Not to worry, Steamboat still has plenty of fun and relaxing things to do inside. Start in downtown Steamboat, which is known for its art galleries, boutiques, and other shopping. Enjoy a meal at one of the more than 130 restaurants that offer a wide variety of options to meet every taste. Put your mind to the test at The Crooked Key, an escape room challenge in town. You’ll have to work with other players in the group to find clues and solve puzzles in order to escape the room in an hour or less. You can choose from three different scenarios: In Escape from the Old West, you try to get out of prison in a scene inspired by an actual 1898 jailbreak in Routt County. The Flashover scenario puts you on a firefighter training mission, while Taphophobia takes you into the world of Edgar Allan Poe. Ski season may be over, but that’s just the beginning of a new season in Steamboat. Take the time to explore the area in the spring, and you’ll discover why so many locals have a smile on their face even though the snow has disappeared. Looking for even more on Spring in Steamboat? Check out our list of the top 10 things to do this spring. Written by Shauna Farnell for Matcha in partnership with Steamboat Springs Chamber.